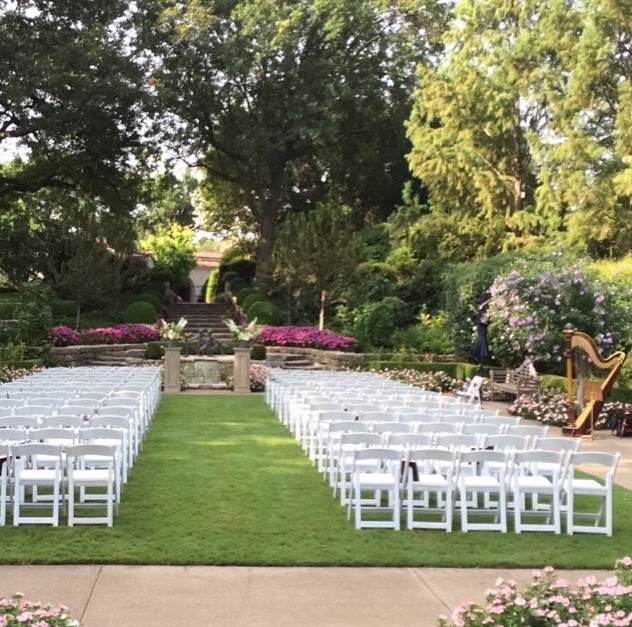 The harp adds a touch of both visual and musical elegance to any event. With years of experience performing for wedding ceremonies, receptions, corporate parties and other events, Sonja provides the beautiful soundscape that you've been desiring for your special day! She has performed weddings and events both locally and internationally - from the DFW metroplex all the way to India and Southeast Asia. Although classically trained, Sonja is able to perform a variety of genres including classical, traditional, pop, disney, light jazz, and folk. The harp can play as a solo instrument, or in a variety of settings, featuring instruments such as flute, violin, viola, cello, or voice. Sonja realizes how overwhelming the planning of a wedding or an event can be, and offers consultations and music samples to help with your decision making.